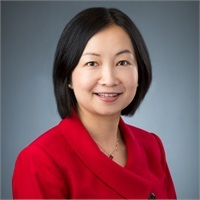 Lan Song, CFP®, is responsible for performing client analyses to determine risk, reward, and opportunity in her role as Paraplanner at MACRO Consulting Group. She supports the MACRO advisors in providing in-depth analysis to interpret and understand clients’ financial circumstances and prepare custom-tailored financial plans built on our six-step methodology for financial planning. Through detailed and precise analysis, Lan is committed to our conservative approach to ensure clients’ money is invested with a purpose – anticipating life transitions, planning for common market risks, and preparing financially for unanticipated hiccups. Lan is a CERTIFIED FINANCIAL PLANNERTM professional, earning this designation in 2003. She has been a member of the MACRO Consulting Group team for nearly 10 years. Her extensive industry experience provides her with expert abilities to address the complex needs and financial goals of MACRO Consulting Group’s niche client base. Prior to joining MACRO, she spent 10 years working as a financial advisor. Lan graduated from Nanjing University of Technology with a Bachelor of Engineering degree and from the Polytechnic Institute of New York University with a Master of Science in Financial Engineering.